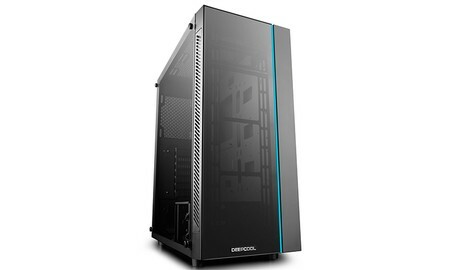 Deepcool Launches MATREXX 55 ATX PC Case- Make Tempered Glass and RGB More Affordable. Full sized 4mm thickness, tempered glass side panel and a front panel give the case a unique look to perfectly show off your inner structure. Optimized airflow is guaranteed with large air intakes on two sides of the front panel and an air exhaust in the back and on top, to keep your components cool. Comes with expandable RGB lighting system and includes a pre-installed RGB strip in the front, which is easily controlled by manual button or via the motherboard; Additionally extra connectors are ready to SYNC with the motherboard to control any combination of DEEPCOOL/GAMER STORM 12V RGB devices.